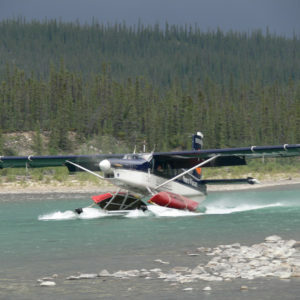 The core of North-Wright’s charter service, these aircraft are considered by many as the best bush planes in the world as they can land anywhere there’s water, ice or a clear, level surface. 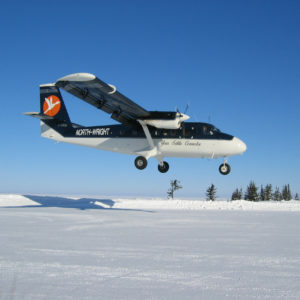 Able to take off or land on short distances with up to 18 people or a large volume of freight gives the Twin Otter a major advantage when serving Northern customers. 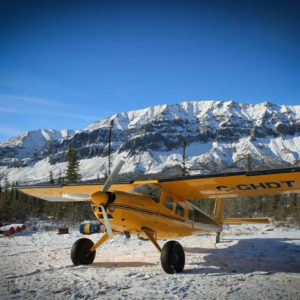 Whether on tires, floats or skis, businesses such as tourism outfitters and operators, flightseeing, general touring, mining exploration companies, and oil and gas developers depend on Twin Otters to provide logistical support in remote locations. 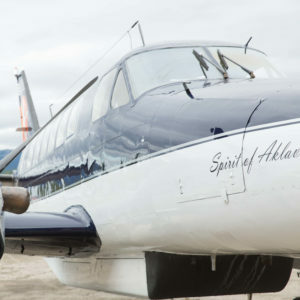 Three other aircraft important to North-Wright’s charter services are the Beech 1900D, two Beech 99’s and the Pilatus Porter. 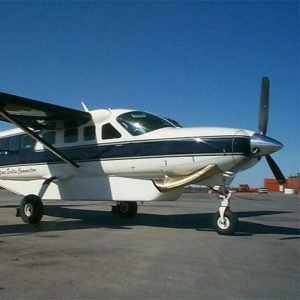 The 1900D is a pressurized twin turbine Aircraft carrying up to 18 commuter passengers comfortably and safely in all weather conditions. 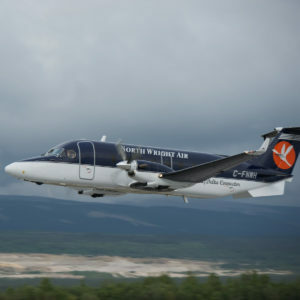 The Beech 99 is a twin turbine engine aircraft that cruises at 350 kilometres per hour with a range that allows charters from the Sahtu to points in Alberta. 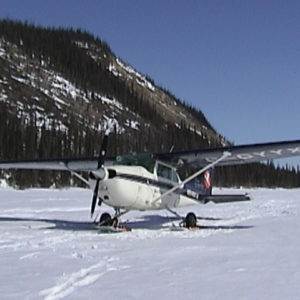 The Pilatus Porter is a single turbine engine airplane adaptable for use on floats or skis and is a favourite with tourism outfitters, operators and adventure travellers.